Visit Vancouver USA is committed to building community-wide support for tourism through our leadership role as the official destination marketing organization for Vancouver and Clark County. Our goal is to promote partnership, productivity, and maximum return on investment of tourism dollars to the local community. One of our main goals is to drive more customers to your business, whether it is a hotel, attraction, restaurant, retail shop, or visitor&apos;s service. We offer a variety of ways to partner, including marketing opportunities to showcase your business in front of visitors. For more information about funding, tourism impact, and group business, download our 2019 Annual Tourism Report. Visit Vancouver USA books and hosts a variety of conferences, conventions, tournaments, and meetings each year. In fact, the estimated economic impact to the region from all 2018 bookings was more than $14.6 million. 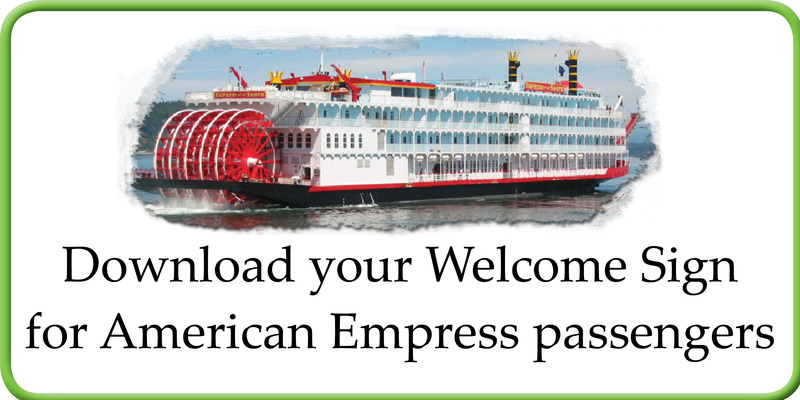 One group that joins us by way of the Columbia River is guests of the American Empress. Docking at Terminal 1, the riverboat starts or ends its journey in Vancouver on select weekends from late March to early December. Downtown businesses can help us welcome the voyagers with this printable sign to hang in the window.